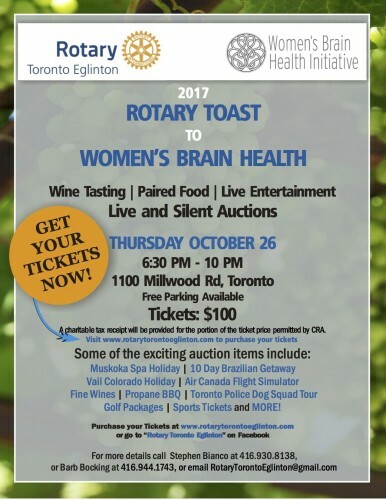 Rotary Toronto Eglinton is hosting its annual fundraising in support of Women’s Brain Health. This prestigious fundraising event will include fine wine tasting, paired with a wide selection of delicious foods, live music, and interactive and fun silent auction and live auction. For more information.